Highway Traffic Racer Planet - A new experience in the endless highway traffic arcade racing genre: race on a highway of a mini planet with different environments, collect car and map parts to unlock the premium content of the game for FREE! Race dangerously and reach better and better positions on the Leaderboards to show the world that you are the best driver on the highways! - 3 class of 12 cars and MORE TO COME! - The faster you race the more scores you get! - Overtake cars closely with High Speed to get bonus scores! - Playing in two-way mode gives extra score! - Knock out busted vehicles to get extra score! - We recommend high-end devices for the best gameplay experience. Please rate Highway Traffic Racer Planet to support cool new updates and give us your honest feedback to make the game even better! Please drive safe on the roads! Enjoy crazy driving only in the Highway Traffic Racer Planet! 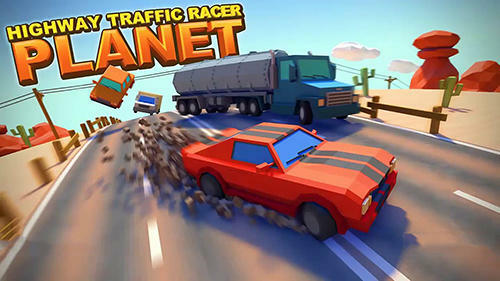 Highway Traffic Racer Planet is an original product of RebelApes. Highway Traffic Racer Planet: install APK and play the game.